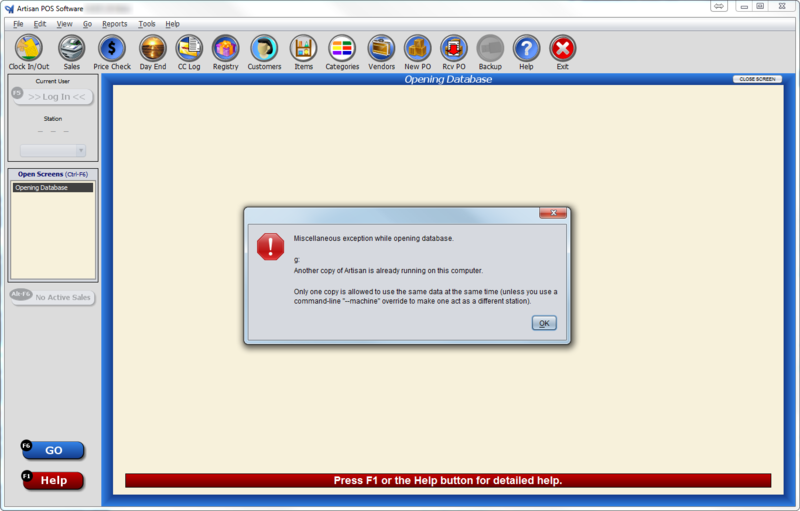 If an error like the one on the images below appears while opening Artisan POS, read the messages as they usually let you know what the problem may be. These error messages are usually displayed when there is an instance of Artisan POS already running. 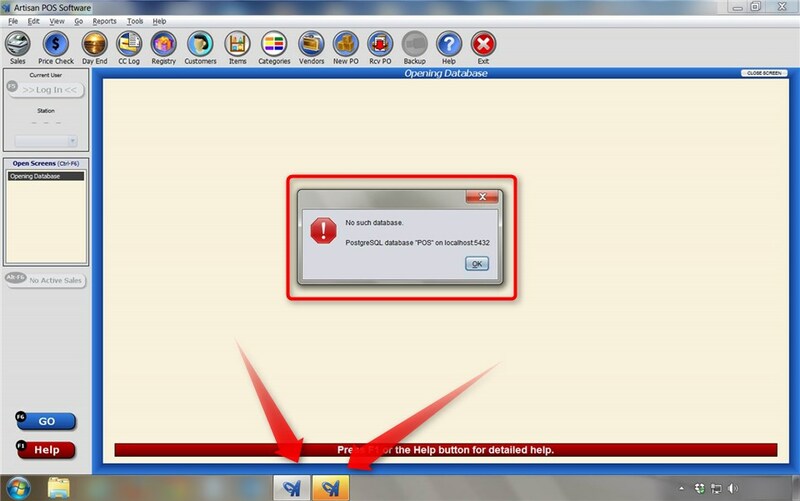 Another copy is not allowed unless you are connecting to different databases or have a machine override to make it look as another station. 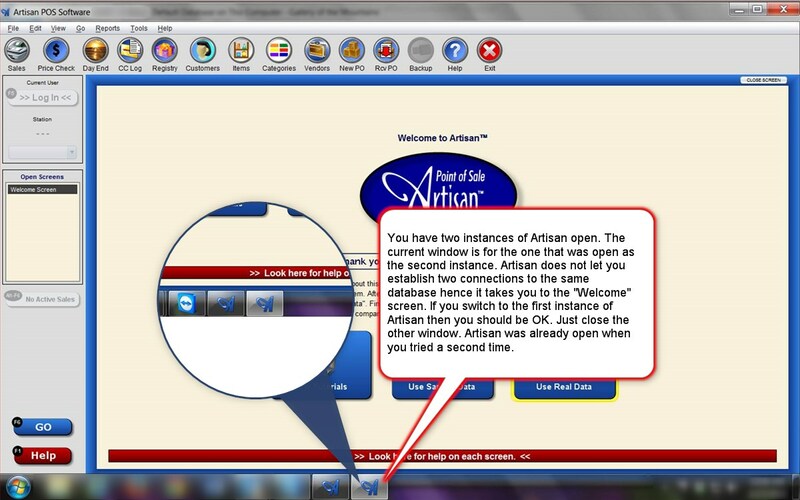 Just close the window with the error message and look for the Artisan application that is already running.